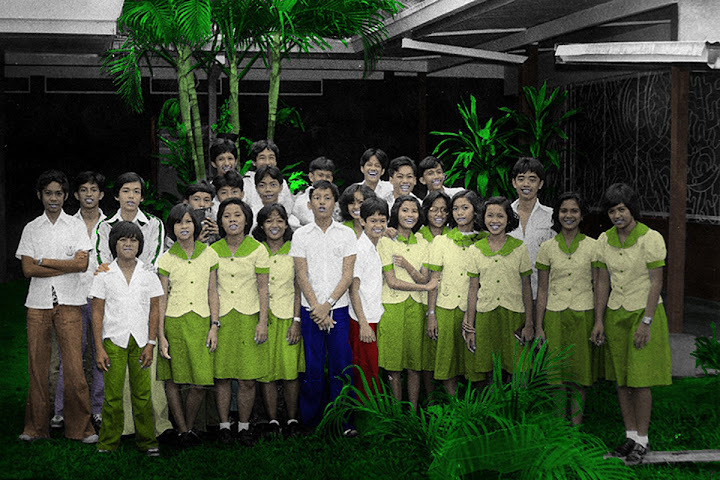 The picture above appears to be of a student organisation, likely taken in the late seventies. 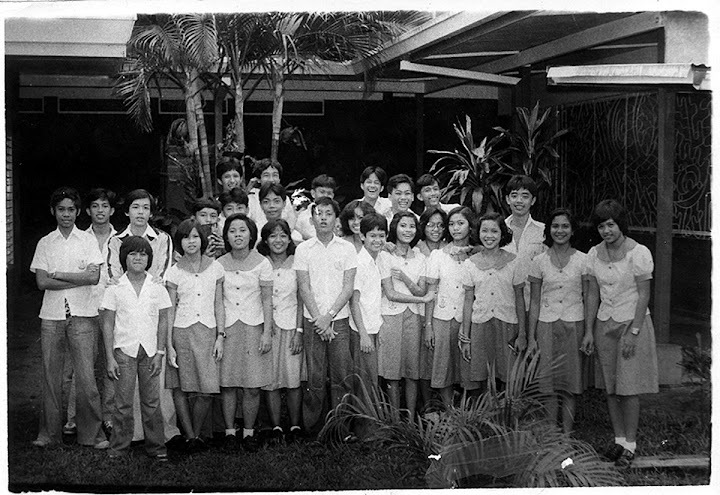 I recognise some in the picture to be from the High School Class of 1980, of which my younger brother Roy was a part. The picture was taken in front of the old chapel or just beside what used to be the Brothers' House. This little nook, of course, no longer exists as it was demolished to make space for a modern Grade School building.